Based on the success of the BC51.0 we are now offering it as a CUSTOM THREAD. 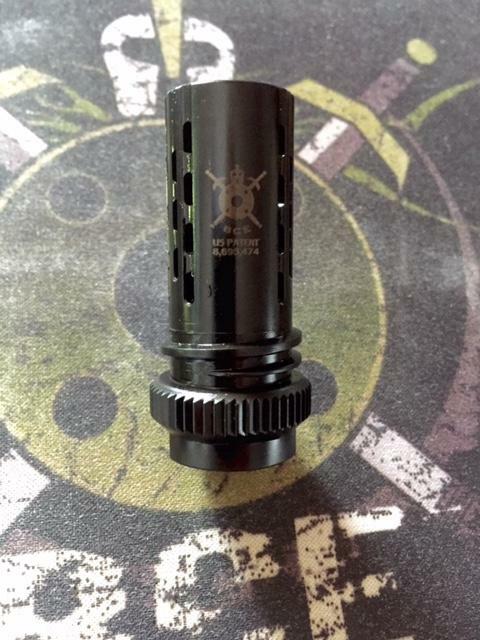 If you know the thread pattern of your 5.45-5.56 caliber rifle and it isn’t 1/2×28 RH, just tell us what it is and we will CUSTOM MAKE IT! The BattleComp 51.0 is a one-piece unit manufactured from 17-4PH Stainless Steel. 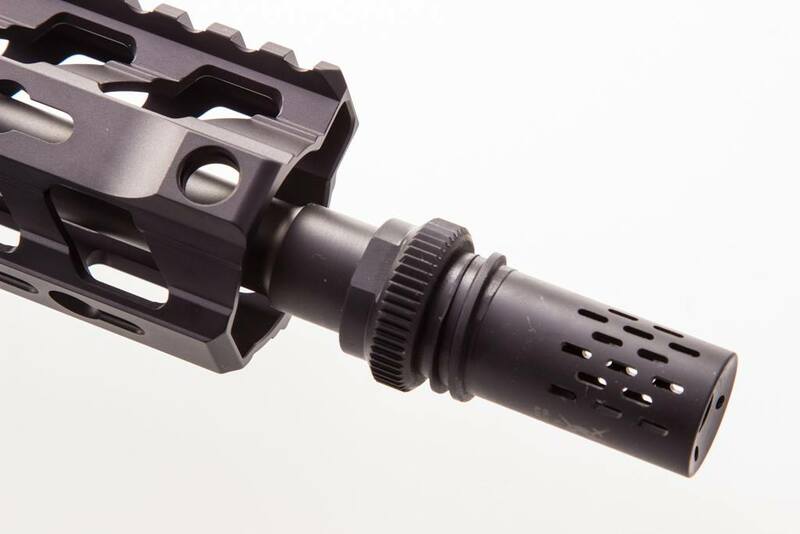 The 51.0 will integrate with those suppressors using an AAC 51T-style interface.BC51 series units are long enough to make 14.5″ barrel over 16″ in overall length. The CUSTOM THREAD BC51.0 comes with a Melonite finish only and has an approximately FOUR WEEK TURNAROUND for the custom work. As this is CUSTOM WORK, you must be CERTAIN about your threads, and there are NO REFUNDS OR RETURNS FOR CUSTOM WORK.We have the following taps already on hand: 9/16 x 26 RH, 3/4 x 24 RH and 14 x 1 LH. If you have a different thread pitch, it will take a little longer to thread your BC51.30 for it. BC51 variants are approximately 2.39″ in overall length and weigh just 3.3 ounces. ALL BattleComp units are California Legal Compensators and have been since May of 2010. The BattleComp 51.0 is a one-piece unit manufactured from 17-4PH Stainless Steel. 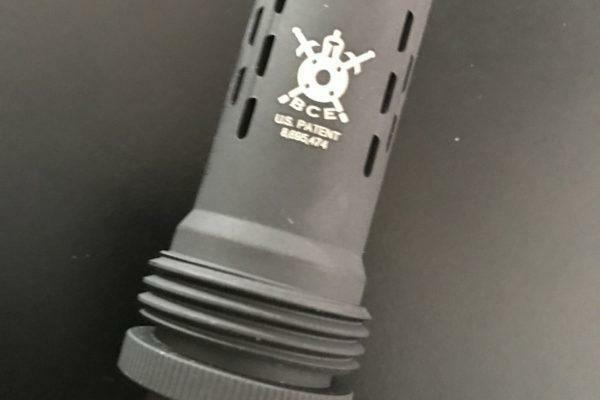 The 51.0 will integrate with those suppressors using an AAC 51T-style interface.BC51 series units are long enough to make 14.5″ barrel over 16″ in overall length.The CUSTOM THREAD BC51.0 comes with a Melonite finish only and has an approximately FOUR WEEK TURNAROUND for the custom work.As this is CUSTOM WORK, you must be CERTAIN about your threads, and there are NO REFUNDS OR RETURNS FOR CUSTOM WORK.We have the following taps already on hand: 9/16 x 24 RH, 3/4 x 24 RH and 14 x 1 LH. If you have a different thread pitch, it will take a little longer to thread your BC51.0 for it.